Welcome to the S.K.I.F.T.T. web site! Shotokan Karate-Do International Federation Trinidad and Tobago (S.K.I.F.T.T. ), was born under Sensei Neville Mason's leadership in 1985, under the name "Yukute". In 1990 the Club changed its name to S.K.I.F.T.T, on the advice from it's parent body, Shotokan Karate-Do International Federation, (S.K.I.F.) Headquarters, Tokyo, Japan. Sensei Neville Mason, 6th Degree Black Belt, began his karate career in 1972 with the Trinidad Karate Association. In 1991 he was inducted into the Caribbean Martial Arts Hall of Fame. On 18th January 1999,Sensei Mason was made President of S.K.I.F Caribbean Region, by S.K.I.F Headquarters, Tokyo, Japan. 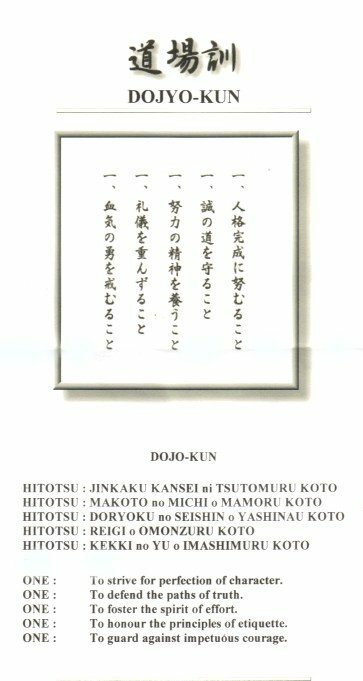 S.K.I.F was founded in December 1977, by Sensei Hirokazu Kanazawa, who is one of the direct students of Gichin Funakoshi, the founder of Shotokan Karate-Do. With over 1,900,000 active members, representing over ninety-four (94) countries, S.K.I.F is the world's finest and largest organization. S.K.I.F. continues to grow worldwide, fostering the highest ideals and standards of Shotokan Karate-Do, as traditional values are passed down from Instructors to students as we grow into the 21st century. Presently, S.K.I.F.T.T's dojo is located at Tranquility Methodist Hall, Port of Spain. On 6th December 1998, S.K.I.F.T.T joined the Trinidad and Tobago Karate Union (T.T.K.U), which is the controlling and recognized body for karate in Trinidad and Tobago. T.T.K.U. is a member of the Trinidad & Tobago Olympic Committee (T.T.O.C), the Pan American Karate Federation (P.K.F), and the World Karate Federation (W.K.F). The W.K.F is a member of the International Olympic Committee (IOC) for karate. S.K.I.F.T.T has established itself as the leading Shotokan Karate organization in Trinidad and Tobago through seminars, demonstrations and tournaments. We endeavour to develop the students as more all round individuals by including some fun-filled activities such as Rally Runs, Karaerobathons, and Treasure Hunts. We also do volunteer work for othe organizations, and have linked ourselves to a group called Pour Le Innocents, which seeks to raise funds for underprivileged and HIV children.